Alexi Polden reports on the perk kept quiet. Honi Soit can reveal a cosy and undisclosed arrangement for the president of Sydney University Sport and Fitness (SUSF)—a house on campus for well below market rates. The house, modestly described as the “Union Cottage”, sits conveniently between Ovals 1 and 2 on Western Avenue and has long gone unnoticed by many on campus. For the past 18 years Bruce Ross (President of SUSF for 24 years) has been the beneficiary of the cosy arrangement. Repeated attempts by Honi to confirm with Ross, or with SUSF’s Executive Director, Robert Smithies, the details of or justification for the arrangement have gone largely unanswered. While we don’t know what Ross paid for 16 of those years, financial reports submitted to the charity regulator suggest that for at least the past two years Mr Ross has paid a relative pittance in rent for the property—about $16,461, or $316 a week. Rents for comparable free standing houses of similar size in the area run from about $560. A room with a shared bathroom in a college near the house sets students back over $520 a week (though admittedly that includes meals). 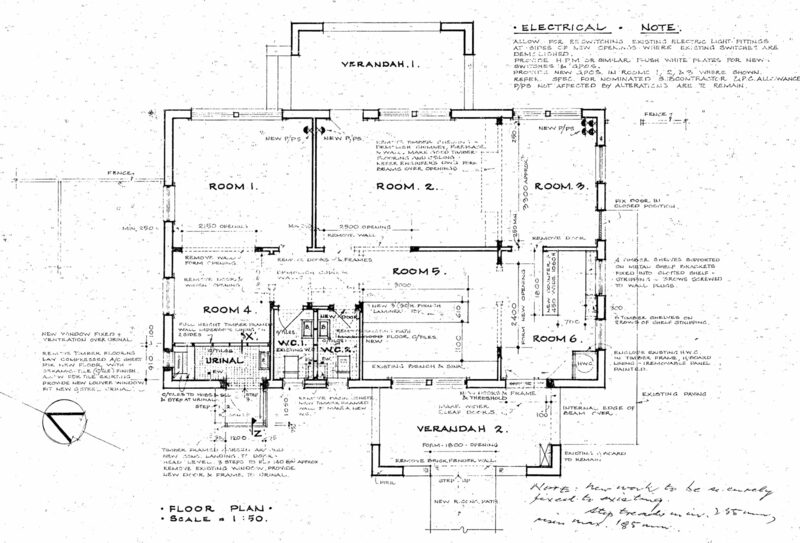 Plan of the house from a 1976 renovation. It has since been further remodelled. In stark contrast to the other facilities owned and leased by SUSF, the cottage is not mentioned directly in its financial report. The rent paid for it appears to be listed as “property” income of around $16,461 in 2014, under the entry: “grounds”. Honi Soit has put the figure to Ross and Smithies on multiple occasions, and neither has taken the opportunity to deny it, or explain why it is not clearly identified, like SUSF’s other rental arrangements. While Ross and Smithies were unwilling to respond to questions about Ross’s occupancy, Honi is confident the figure is accurate. There is no entry for Ross’ dwelling, despite the fact that you’d be hard pressed to find a house in Sydney, let alone a leafy address in the inner west within walking distance of a Sports Union café, pool and gym, for under $400 a week on the open market. "Still plenty of vacant rooms at Kirribilli House"
That Ross is sitting pretty in a house owned by an ostensibly student run organisation, which is substantially funded by the SSAF paid each semester is concerning. That the arrangement appears to have gone undeclared makes matters worse. No explanation has ever been given as why the house is necessary for Ross to perform his functions as president. On the other hand, as revealed by Honi in April, Ross does make ample use of the house to run several businesses. A spokesperson for the University said they were aware of the occupancy, but that the rental arrangement was a matter for SUSF. The spokesperson was unable to comment on whether the University was providing telecommunications or utilities to the house. The full text of Mr Ross’ response to this article is below. Honi notes that some of the claims Mr Ross makes are inaccurate. Mr Smithies did not respond to repeated requests for comment. Mr Polden hounded me incessantly at the time of the SUSF Presidential Election, including about the issue he is now canvassing. Honi Soit boasted that it had conducted a four-month investigation into SUSF and me. Honi Soit published an article written by Mr Polden in which I was referred to by name nineteen times. I will have no further communication with you.